Saudi Arabia has recently given Qatar 13 demands to end a trade and diplomatic embargo – and one of them is pulling the plug on broadcaster Al Jazeera. But it's not the first time that Al Jazeera has been in the crosshairs. In September 2013, when Al Jazeera had its sports broadcast on, the football scores went out uninterrupted. Next, the weather was without any issues. But soon as the news anchor began to talk about the Muslim Brotherhood – the screen froze, fought back to show pixels and finally faded to black. After the report concluded, the screen unfroze and Al Jazeera returned to its normal broadcast. Meanwhile, on the Cairo-Alexandria Desert Highway, west of the capital, several satcom jammers in a non-descript SUV with antennas pointing to the sky, check their television schedule print outs. Like television producers, they flip switches and turn knobs when the clock strikes the exact minute and second the Muslim Brotherhood broadcast is set to begin. And they un-flip the switch when it's set to end. 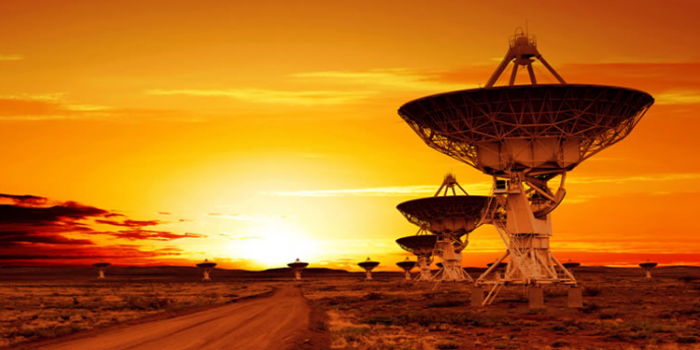 The main characteristic of an intentional interference of satellite communications is the preciseness – almost like clockwork that a signal is jammed and then returned. Al Jazeera suspected the new government of Egypt was behind the jamming. But they needed to prove it. Space cowboys are those that using data science and geolocation techniques to identify possible locations of the source of jamming. They use a mixture of math and Google Maps. Intentional interference or satcom jammers usually keep moving. They never jam in the same place twice for fear of being pinpointed. The key is correlating radio frequency trajectory information to the finding the ellipses of satellite dishes on Google Map images. The catch is – what if the satellite imagery – is too old? Especially if the satellite jamming equipment is attached to a vehicle. Cairo-Alexandria Desert Highway close to Al-Natrom Valley prison. A large military installation annexed to a building equipped with satellite antennas and a telecommunications tower near to the Cairo-Suez highway. East Cairo, specifically in the densely populated Heliopolis area on the junction between Airport road, El-Thawra street and El Mergheni Street near the Egyptian military intelligence headquarters and the army’s public-relations department. The trick is to predict the jammers next movement. Now taking the coordinates of where the jammers were in order to create a perimeter – a measurement of the distance around something; calculating the length of the boundary where they were found to have jammed previously. Normally, satcom jammers stay in safe-zones where no one will report them to the authorities unless the authorities are paid off. But even then, like creatures of habit, they tend to circle around. So the goal is to anticipate them when they return to a former location. As the jamming locations were given to Al Jazeera and the circle was broken, Al Jazeera is now back on the air uninterrupted. Now the question is if Qatar does not give into the demands – will Saudi Arabia resort to the same tactics? Futhermore, with SpaceX having double-header rocket launches this past month placing telecommunication satellites in the geo orbit, the opportunity grows for more satcom jammers. But if the space cowboys are successful, the goal is for us all to ride happily into the sunset.